In Gunner service, the Universal Carrier Ford No 3 Mark 2 was used as a vehicle to carry Forward Observation Officers and their radio operators to direct artillery fire. It was also used as an ammunition carrier and towing vehicle in Canadian Anti-Tank Regiments in conjunction with 2 and 6 Pounder Anti-Tank guns. 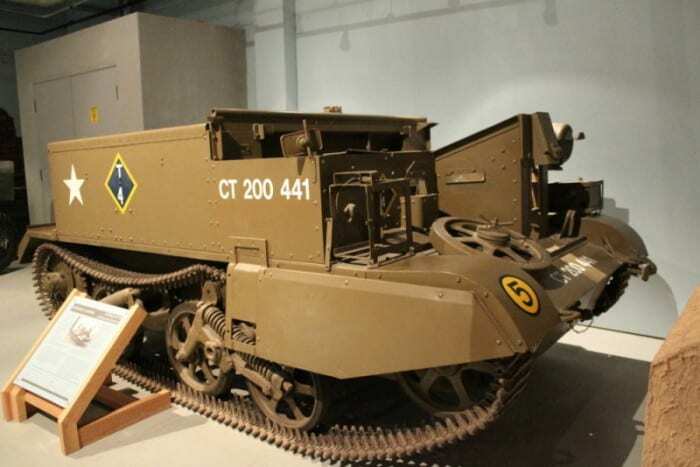 The Universal Carrier was originally designed to move infantry across fire-swept ground. It carried a Bren light machine gun, and was often called a “Bren Gun Carrier”. Some 29,000 of various marks were manufactured in Canada and the vehicle was widely used by the Canadian Army during the Second World War in Sicily, Italy and North West Europe.